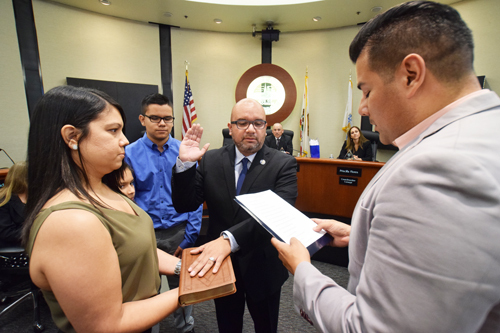 Mayor Pedro Aceituno (center) and Mayor Pro Tem Jose J. Mendoza took their oath of office Tuesday during a special ceremony at Bell Gardens City Hall. 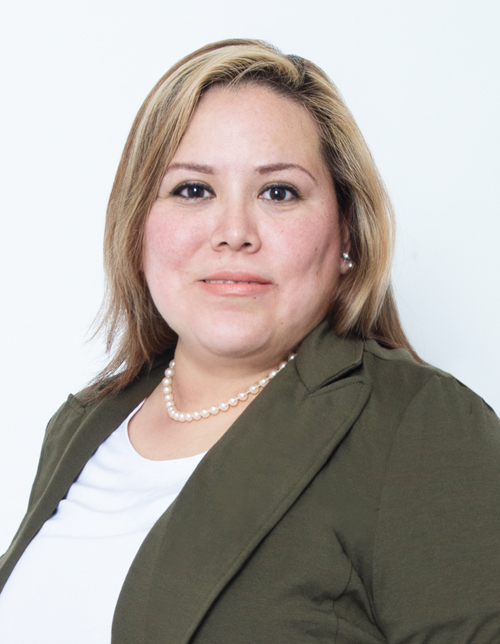 Aceituno replaces Councilwoman Jennifer Rodriguez as mayor. The swearing-in ceremonies were followed by a performance by Mendoza’s dance team in the City Hall courtyard. 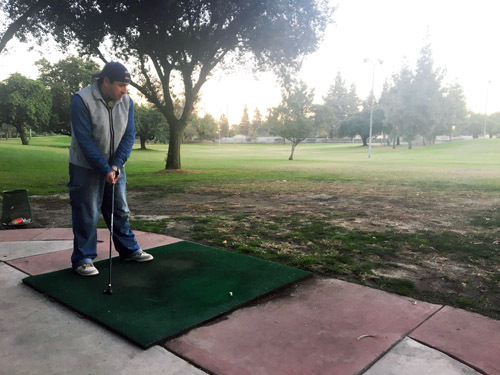 Bell Gardens officials hope to turn a small golf course that has bled the city’s budget for years into an “ace” that may actually generate a profit of nearly $60,000 annually. The city council last week unanimously approved a contract with Golf Links – a golf course management company – to oversee the city-owned 9-hole, 3-par golf course located at Ford Park. The golf course has for years operated in the red, forcing the city to cover its operating shortfall to the tune of $62,000 to $72,000 a year since 2013. “We have made every effort to operate the golf course, to at least break even, but we have not been able to do that,” said City Manager Phil Wagner during the Nov. 23 council meeting. The economic recession hit the golf industry especially hard, explained Recreation Director Chris Daste, adding that the decline in pro-golfer Tiger Wood’s popularity has also hurt the sport. It costs $253,000 to operate the facility but revenues from fees and events only total $166,000, according to Finance Director Will Kaholokula. “What happened here happened in courses across the country,” Daste said. “Golf isn’t something people have to do” when money is tight, he added. Golf Links plans to keep fees affordable after they take over in January, said Daste. They hope to encourage the city’s large soccer-playing community to give golf a try, he said. Bell Gardens youth will be allowed to play for free, he added. With a projected $91,000 operating deficit, city officials decided it was time to make a change. “The longer we wait the longer we continue to stay in the red,” said Mayor Pro Tem Pedro Aceituno. The golf course doesn’t have many of the amenities that attract golfers, such as water hazards and sand boxes. It is located towards the back of Ford Park, hidden from passing traffic and largely overshadowed by the park’s popular soccer complex. “The golf course is the city’s best kept secret, but secrets are not good for business,” Daste told EGP. Golf Links will oversee maintenance, run the pro shop and on-site concessionaire and says it’s confident it can turn a $60,000 profit for the city within a year. The city will save thousands of dollars in maintenance costs alone, said Daste. Golf Links’ connections and marketing plans — using mass emails and special events to create a buzz about the course — should turn things around, Kaholokula told EGP. “This is a company that will do anything it can to make the golf course profitable,” the finance director assured. For years, regulars like Jerry Smith have enjoyed the peace and quite of the golf course. “It’s a beautiful place to get away from everything and it doesn’t cost an arm and a leg,” he said. The beginner’s course has allowed him to bring his stepson and neighbor along; both are new to the sport. “All you need is a putter, one or two irons and of course balls,” he explained. “You don’t even need a golf cart,” added Daniel Cervantes of Downey. 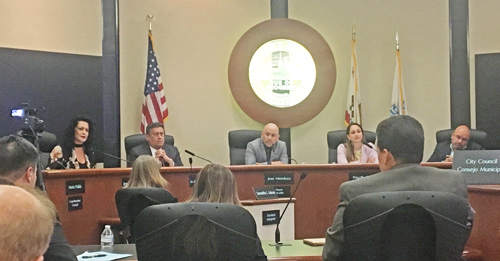 The city received glowing recommendations for Golf Links, which helped turn a similar struggling golf course in nearby Pico Rivera around, Daste said. Aceituno said he saw the transformation of the golf course in Pico Rivera first hand. “I feel confident they can also do that here on our golf course,” he said. For the first time in decades, a city known for its tough political rivalries may cancel its upcoming city council election because no one has filed to run against the two incumbents up for reelection. On Monday, the city clerk’s office announced Mayor Jennifer Rodriguez and Mayor Pro Tem Pedro Aceituno were the only two candidates to turn in paperwork before the nomination period closed Friday, Aug. 7. 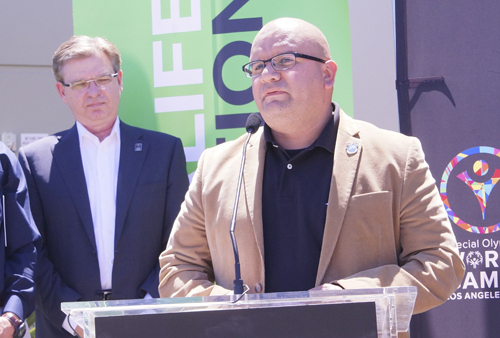 It’s a surprising turn of events considering Rodriguez, and Aceituno to a lesser extent, have in recent years been involved in some of the city’s most volatile elections. The difference this year could be the absence of former Mayor Daniel Crespo, who until shortly before his shooting death last year, was a vocal and often aggressive opponent of the two incumbents. “In past elections there are usually no shortage of challengers, but I can only assume that residents are pleased with the job their representatives are doing on the city council,” said City Manager Phil Wagner. Under the city’s election code, if there are no more candidates than offices to be elected, in this case two city council seats, the city council at its discretion can appoint those who turned in their required paperwork before the deadline and cancel the election. The city council also has available to it the option to appoint an eligible voter in the city to the seat, or still hold an election. 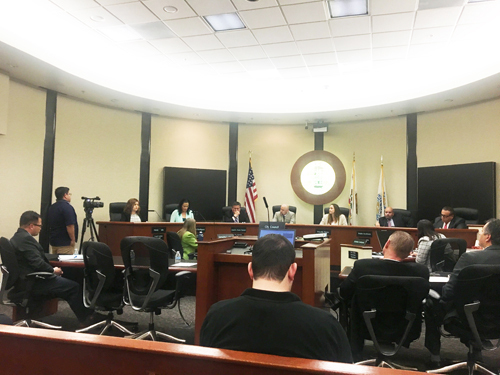 “Given that we have two qualified nominations the city council will most likely choose option one and not hold an election,” said new City Clerk Kristina Santana. Canceling the election will save Bell Gardens $90,000, the amount it would have paid the County for election services, Santana said. As long time members of the council, Rodriguez and Aceituno are expected to be appointed to new four-year terms when the council meets to consider the issue at City Hall, Wednesday, Aug. 19 at 5 p.m.
Rodriguez and Aceituno will serve exactly as if elected during an election, according to the City Clerk’s office. 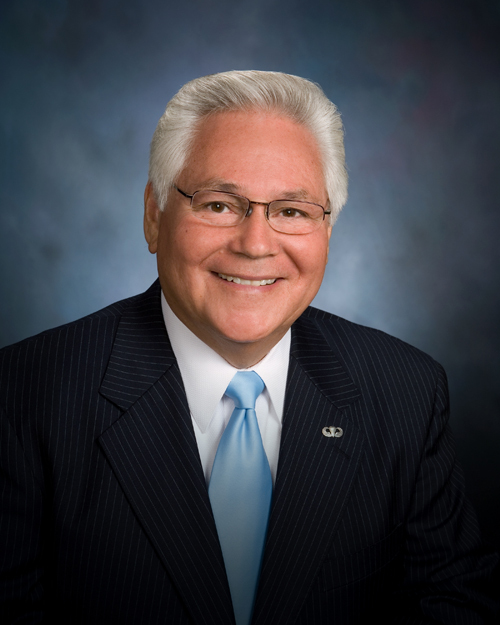 Rodriguez has served on the council since 2003. She works as a social worker and director of admissions at a local healthcare facility. Aceituno was first elected in 1999 and was one of the youngest elected officials to serve as Mayor in Los Angeles County.